It was early morning as we headed toward the north-eastern boundaries of the Anuradhapura district where the quiet village of Padaviya lies. 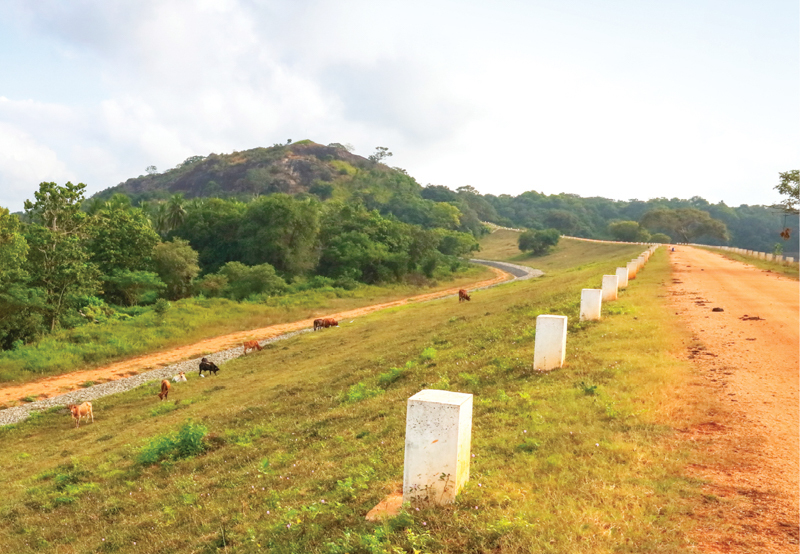 Padaviya is comparatively less visited than the other historical sites of the Anuradhapura Era despite the numerous important sites it holds. 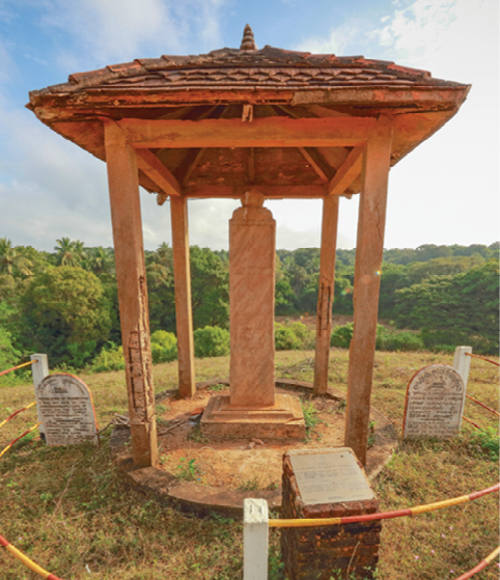 Yet here lies hidden amid dry forest covers an untold history belonging to an indispensable era of ancient Sri Lanka. 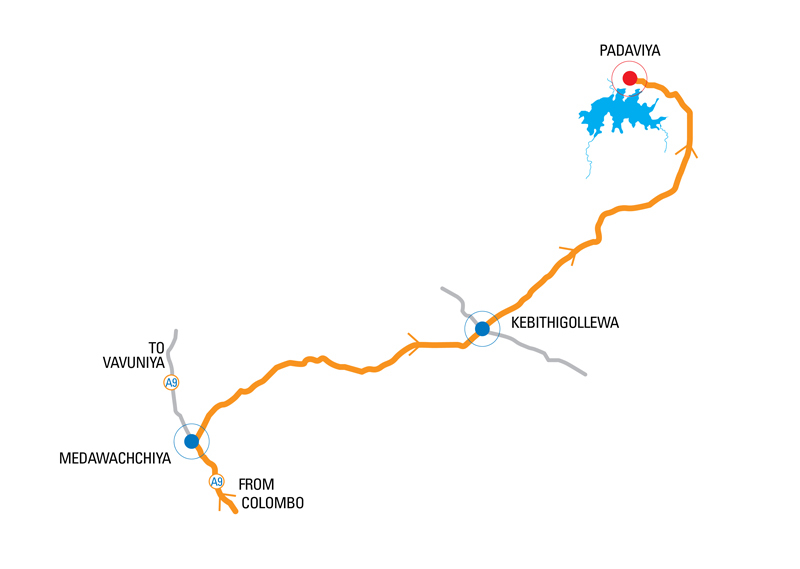 For anyone travelling from Colombo the shortest route would be to travel along the A9 road until Kilinochchi junction and then turn right passing Kebethigollewa to reach the village of Padaviya. Of the two ancient reservoirs in the northern part of the North Central province, the Padaviya wewa is undeniably the largest, and was once believed to have been the largest of the reservoirs during the Anuradhapura Era. From the main junction turning towards the tank, a few metres ahead all we could see was the bund. Villagers were busy engaging in their daily chores. 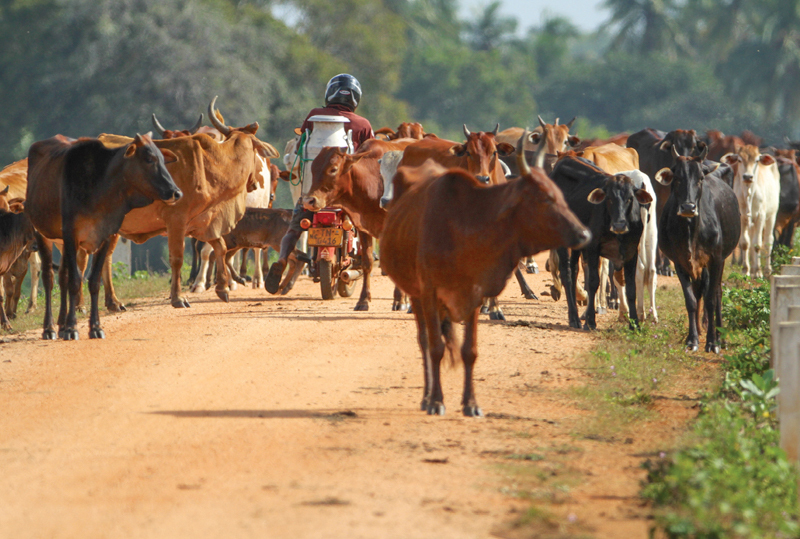 A herd of cattle were heading our way and at the same time a milkman with a milk container on his bike passed the herd while we stayed motionless. A grey heron was silently observing the movements beneath the water while waiting patiently atop a rock, which had surfaced at the edge of the wewa. It continued to return to the very spot time after time, until it was content. From the main junction turning towards the tank, a few metres ahead all we could see was the bund. Villagers were busy engaging in their daily chores. As we moved on further, it was evident that the full extent of the bund is never visible from any given point due to its curve like nature. The sheer size and extent of the Padaviya wewa could not be realised, from where we stood. The sight was concealed by forest patches entwined by the bund road. The ancient stone inscription closer to the Padaviya wewa, claims that it was built by King Parakrambahu who reigned from 1153 AD - 1186 AD. However, archeologists believe that this was created much before his reign, during the time of King Saddathissa (137-119 BC) and King Mahasen's reign in the second century AD. It is believed that King Parakramabahu may have done major reconstruction work of the reservoir. Who exactly constructed this remarkable masterpiece remains hidden in obscurity. The Padaviya wewa is spread across an area of 14,000 acres, and receives water from Ma Oya. Sir Emerson Tennent in his book Ceylon, mentions his experiences from 1859, about the master craftsmanship and the ingenuity of this mighty edifice "Padivil". He also states, "The command of labour must have been extraordinary at the time when such a construction was successfully carried out, and the population enormous to whose use it was adapted". The Padaviya Archaeological Site, consists of a monastic complex, belonging to the reign of King Mahasen (276-303 AD). 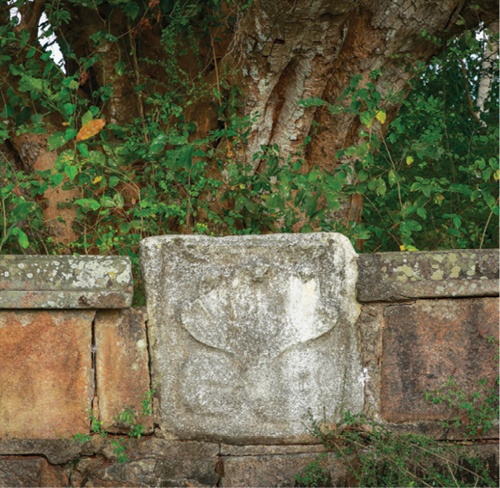 Ruins of a rock carving with a five hooded cobra instilled in an ancient wall surrounding a Bo tree caught our attention. The carving of the cobra most likely would have been brought from elsewhere. A few metres along the bund we made a detour towards the wilderness along a gravel road. There were no sign boards nor any direction posts, it was sheer luck that led us this way. For, hidden amidst the thickets was an archaeological site, comprising ancient ruins of the past. The Padaviya Archaeological Site, consists of a monastic complex, belonging to the reign of King Mahasen (276-303 AD). The seven water wells caught our attention and four were still intact and the deepest still contained water. For these wells to withstand the test of time, reflects the enormity of the construction, irrigation and the knowledge of hydrology that would have been prevalent at that time. 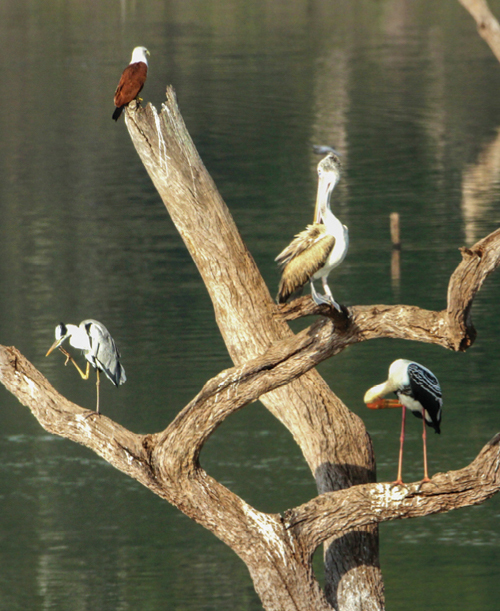 The wilderness surrounding the wewa belongs to the Padaviya Nature Reserve, while 500ha of it belongs to the Archaeological Department. Amidst the historical remnants of a dagoba, an image house, and other ruins, were also remnants of Hindu deities, which is said to be as a result of a Dravidian ruler who governed the area, much later and had converted some parts of the monastic complex into a Hindu temple. As we made our way back to the Padaviya wewa, the sun was setting from the western skies, while a Sea eagle returned to its nest on a tall isolated tree far away. We watched the setting sun colouring the skies to a beautiful reddish hue while an egret returned to its roosting site. The distant landscapes were dimly visible as silhouettes, as we bid farewell to the mammoth creation of the Padaviya wewa!